Electronic Beats Festival Zagreb is almost here, and we’re still reeling from Vienna. But a few cups of coffee dumped directly on our souls shaped us right up, and now we’re ready to board the airplane once again for the beautiful Croatian capital. Last year‘s performances left a mark for sure, but this year will be one for the books. 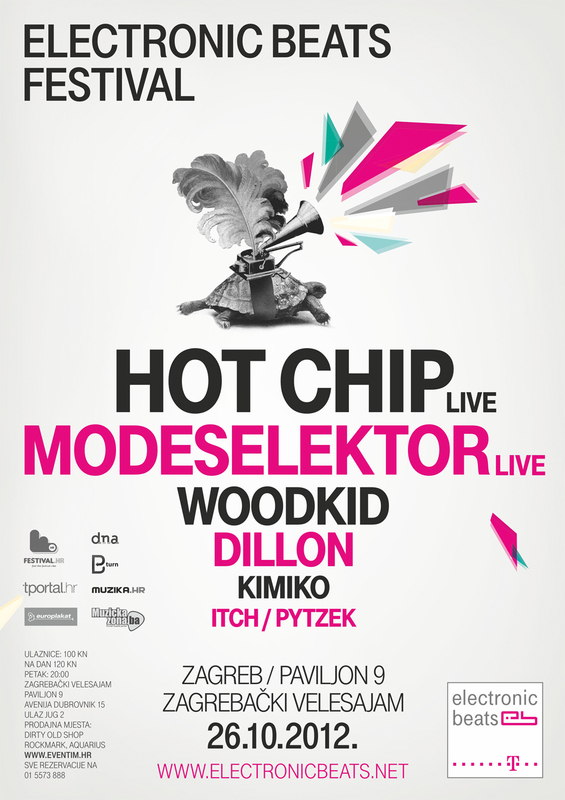 Soon Hot Chip, Modeselektor, Dillon, and Woodkid will be coming to a very lucky crowd—and you could be one of them. Because we’re such lovely people, abd because we want to see your lovely faces there with us, we’re giving away tickets! Simply fill in the form below for your chance to win tickets. All entries must be submitted by 6pm CEST on Monday, October 22, 2012, so better now then later. The winners will be notified by email. The best kinds of parties are the ones that are filled with friends, so make sure you let them know! They could be joining you for an unforgettable show. EB Festival Zagreb takes place on October 26, 2012 at the Paviljon 9 in Zagreb. For those who don’t win but still want to be there (and trust us, you do! ), tickets are available here. RSVP on Facebook or Google+, and use the hashtag #ebfest12 on Twitter. UPDATE, October 22, 6.15pm: Competition is closed, winners are Tana G. / Ivan M. / Matej V. (all +1) — they’ve been notified via email.